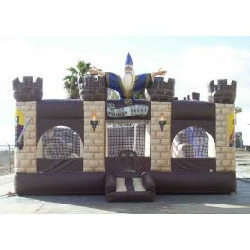 Let your little Merlin or Wizard enjoy their own castle for enchanting fun! You'll enjoy a crawl through tunnel, pop-ups & a slide. Dimensions: 20'L x 25'W x 17'H. Please allow 24'L x 29'W space for adequate clearance.